The primary function of a shock absorber is to control or damp the movement of the spring. A lack of rebound control (shock extension) will cause a floating or bouncy ride, while too-stiff compression damping can create a lack of control on rough terrain and a harsh on-road ride. Shocks resist motion by using a piston and valves that are mounted on the end of a shaft and that move through a fluid of thin oil. The fluid must pass through holes, valves, and slots in the piston as the shaft is stroked in and out. Resistance is created when the oil is forced through the openings on each cycle. Basically, shocks are of two designs: twin tube and mono-tube and can be either gas pressurized or “low” pressure. The twin tube literally has two tubes: The inside tube is where the work is done and the outside tube is a reservoir that holds extra fluids. Basically, shock absorbers act as energy transfer devices which remove kinetic energy (movement) from the spring, turn it into thermal energy (heat) and dissipate the heat into the atmosphere. Let’s start our discussion of shock absorbers with a very important point: despite what many people think, conventional shock absorbers do not support vehicle weight. Instead, the primary purpose of the shock absorber is to control spring and suspension movement. This is accomplished by turning the kinetic energy of suspension movement into thermal energy, or heat energy, to be dissipated through the hydraulic fluid. Shock absorbers are basically oil pumps. A piston is attached to the end of the piston rod and works against hydraulic fluid in the pressure tube. As the suspension travels up and down, the hydraulic fluid is forced through tiny holes, called orifices, inside the piston. However, these orifices only let a small amount of fluid through the piston. This slows down the piston, which in turn slows down spring and suspension movement. Shock absorbers work on the principle of fluid displacement on both the compression and extension cycle. A typical light truck will have more resistance during its extension cycle then its compression cycle. The compression cycle controls the motion of a vehicle’s unsprung weight, while extension controls the heavier sprung weight. Using gas to pressurize the fluid column inside the shock body inhibits cavitation, which is the foaming of the shock fluid that occurs near the piston as it passes through the fluid. Because air flows through the valves quicker than fluid, the foam reduces the damping effect of the shock. In a gas shock the pressurized gas is separated from the fluid and the gas is contained at a pressure which prevents the release of air from the shock oil solution, regardless of how much vacuum develops behind the piston as it moves through the oil. Gas shocks can either be of a high- or low- pressure design. High-pressure gas shocks are best suited for activities such as racing in which the shock undergoes continuous rapid compression and rebound. Low-pressure gas shocks are better on the trail. A cellular-gas shock or a shock featuring a foam cell is one that uses a cell or a bag filled with gas or a piece of foam material. The gas bag or foam cell normally uses freon at 10 to 20 psi rather than the 1 00 to 200 psi of twin-tube gas pressurized or the 250 to 400 psi of monotube designs. Some sources claim a gas bag or a foam cell has little effect on cavitation. 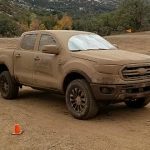 However, activities such as slow-speed trail driving don’t normally cause cavitation, and many 4×4 builders we talked to recommend a low-pressure cellular gas or foam shock for trail rigs because of their lighter damping characteristics. The twin tube design has an inner tube known as the working or pressure tube and an outer tube known as the reserve tube. The outer tube is used to store excess hydraulic fluid. The base valve located at the bottom of the pressure tube is called a compression valve. It controls fluid movement during the compression cycle. A leap beyond fluid velocity control is an advanced technology that takes into account the position of the valve within the pressure tube. This is called Position Sensitive Damping (PSD). The first zone, the comfort zone, is where normal driving takes place. In this zone the piston travel remains within the limits of the pressure tube’s mid range. The tapered grooves allow hydraulic fluid to pass freely around and through the piston during its midrange travel. This action reduces resistance on the piston, assuring a smooth, comfortable ride. The second zone, the control zone, is utilized during demanding driving situations. In this zone the piston travels out of the mid range area of the pressure tube and beyond the grooves. The entire fluid flow is directed through the piston valving for more control of the vehicle’s suspension. The result is improved vehicle handling and better control without sacrificing ride comfort. A new twist on the comfort/ control compromise is an innovative technology which provides greater control for handling while improving ride comfort called Acceleration Sensitive Damping (ASD). 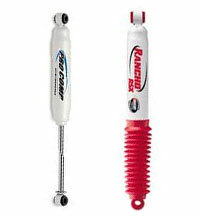 Popular Twin Tube Shocks include: Pro Comp and Rancho. These are high-pressure gas shocks with only one tube, the pressure tube. Inside the pressure tube there are two pistons: a dividing piston and a working piston. The working piston and rod are very similar to the twin tube shock design. The difference in actual application is that a mono-tube shock absorber can be mounted upside down or right side up and will work either way. In addition to its mounting flexibility, mono-tube shocks are a significant component, along with the spring, in supporting vehicle weight. Popular Mono Tube Shocks include: Bilstein, Pro Comp, and Fox. Reservoir shock absorbers offer many of the same benefits and features as Monotube shocks, but with a few extra twists. Contrary to popular belief, the external reservoir on a shock of this type isn’t made to hold extra shock oil. Its purpose is to house the extra needed air space during a shocks compression cycle. Typically this is not air at all, but nitrogen. It will hold some additional fluid as needed, but this shock is designed differently from most other shocks in that the entire main shock body is completely drowned in shock oil. All shock absorbers, regardless of the type, need some amount of dead air space to allow them to work properly. Standard shocks have dead air at the top of the valve body or utilize a twin-tube model for the needed expansion. As mentioned previously, the external reservoir is used for storing the extra needed dead air space. They are typically connected to the main shock body via a reinforced flexible hose or a metal tube of sorts. The trick here is that as the shock compresses, the extra oil is forced through the connecting tube, into the reservoir body and forced against the pressurized air or nitrogen. In theory, if the oil and the air are not allowed to mix (that’s the way the engineers designed this), the shock will dampen at a far more consistent rate regardless of the frequency of the shock compression/rebound cycles, because the oil cannot aerate. Not to mention they look cool. 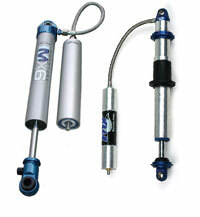 Popular Reservoir Shocks include: Bilstein, Pro Comp, Fox, and Fabtech. 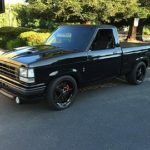 We’re not talking about load-carrying air shocks such as the Gabriel or Monroe air shock absorbers people used in the 1970’s to jack up the rear of their hot rod. These are designed as a supplemental overload spring, and work by adding air to an enclosed chamber much like the airbag overload springs. Air shocks are an emulsion shock but with a larger shaft and are a compromise between a shock and a spring. They are very similar to nitrogen-charged emulsion shocks. 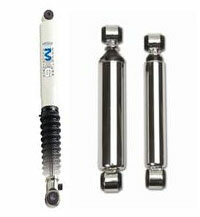 However, you will quickly notice that air shocks have a much larger chrome shaft that runs out of the body. These new air shocks look very much like the coilover shocks used by desert racers and rockcrawlers, but without the coil springs around the outside of the shock body. What confuses people is that no other type of spring is used with air shocks. No coils or leaves. The air shock itself works as both spring and shock in a cheap, lightweight, and simple package. The problems arise when the air shock tries to support the weight of the vehicle like a spring, and damping the movement of the suspension like a shock. The main reason for this is due to the spring rate of the air shock. With an air shock the spring rate is very flat for the majority of the compression and then near the end of its compression it ramps up quickly. For example, it may only go from 30 to 200 pounds for the first three-quarters of total compression, but then the final 4 inches will jump up to nearly 7,000 pounds (these numbers will change according to the nitrogen charge, but the general curve will stay the same). This results in a suspension that has little resistance to compression or rebound force for the first 60 to 75 percent of the shock’s travel and then the final 30 percent gets exponentially harder to compress and quicker to rebound. This may seem like a great attribute, almost like having a bumpstop built into your air shock, but when this erratic spring rate is combined with the unpredictable damping of an emulsion shock, these magical mystery shocks don’t look so wonderful anymore. Fox Racing Shocks has addressed the spring rate issue better than other manufacturers by adding a negative coil spring inside the shock body around the air-shock shaft. This in effect adds some spring rate to the compression stroke of the shock. The 2 and 2-1/2 inch air shock shafts are greater than twice the diameter of the basic 2-inch nitrogen-charged damping shock on the right, but the shock bodies on both the 2-inch air shock and the 2-inch damping shock are equal diameter. Thus as the air-shock shaft moves into the shock body it displaces more than four times the volume as the damping shock does and begins compressing the nitrogen charge much like a tire compresses the air within, and that makes it act like a spring. Most 4x4s running air shocks only use a small amount of uptravel, where usually only 5 inches of uptravel is available with a 16-inch shock. This doesn’t really lend itself to high-speed trail bashing. 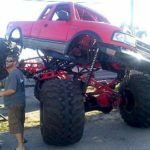 If you take an airshock-equipped vehicle out for some high-speed jaunts, the shocks quickly heat up and begin to raise the ride height of the vehicle. As the oil heats up the nitrogen begins to expand and forces the shaft out of the shock body. Don’t lose interest in air shocks just yet. If you mainly rockcrawl, rarely see high-speed action over muddy bogs, never plan to do hours of fast wheeling across desert whoops, and you don’t drive this thing on the street much, then air shocks are for you. If you choose air shocks you may also want to invest in a sway bar to help deal with the body roll common to them due to the flat spring rate. But if you are looking for big air, ultimate adjustability, and the proper tool for more jobs, then take the step up to coilovers. The coil spring surrounding the body of some shocks acts to create more resistance on both the compression and rebound stroke of the shock absorber. The coil spring can also be used to adjust for different ride heights, and the coil can be designed with multiple stages to further tune the shocks’ damping progression. Coil-over load-leveling shocks are best suited for use on vehicles that occasionally carry a lot of weight and need to be level once loaded. A coilover shock is basically a shock absorber with a coil spring or multiple coil springs wrapped around the shock so that it not only supports the weight of the vehicle, but also dampens the suspension to help control the spring. the major benefit of a coilover shock is that it can be adjusted and dialed in to achieve a far superior working suspension over any given terrain, but this also requires that you take the time and have the knowledge to dial in the coilover to get the best performance out of it. Dialing-in most coilovers involves adjusting both the coil-spring rates and the internal valving of the shocks. A coilover shock is fundamentally a cylinder (the shock body) filled with oil and an inner shaft with a piston that moves up and down within the body. The piston has small holes and very thin washers or shims designed to allow the oil to flow through it, but at the same time slow or control the speed and volume at which it moves. These shims can be changed to adjust the rate that the oil flows in each direction, and this gives the shock tunability on both the compression and rebound stroke. In addition to the shock oil, most of these rebuildable shocks are nitrogen charged. The nitrogen applies pressure to the oil to help force it through the piston, and also prevents the vacuum formed by the movement of oil, also known as cavitation. There are also two major styles of coilover: an emulsion shock, where the nitrogen charge is in the same area as the oil; and a dividing piston shock, where the nitrogen is separated from the oil by a floating piston. The floating piston can be found either in the shock body (internal floating piston) or in a remote reservoir. An emulsion shock is adequate for most off-roaders looking for a slow speed or rockcrawling shock, whereas the reservoir and IFP shocks are better for high speed since the nitrogen and oil are less likely to mix and foam under extreme use. A coilover shock has the outside of the body threaded like a giant bolt with large adjuster nuts that hold the coil in place. These adjusters also allow you to preload the coils if need be, and adjust the ride height of the vehicle. Shocks that can be adjusted to alter the damping rate have been around for some time, and adjustable-rate shocks are appearing throughout the marketplace today. An adjustable shock provides the user with two or, in some cases, five damping rates all contained in a single device. Turning a knob on the shock body is all that’s required to dial in the damping rate that best handles the terrain or driving conditions encountered. You can even get systems that adjust the damping rate from inside the cab of the vehicle. Shocks come in a variety of “bore” or tube sizes. The larger the bore, the greater its heat capacity, so the shock runs cooler. Pistons and rods vary in size and material, too. In general, the larger the piston and rod, the sturdier the shock. Piston materials can be sintered iron, machined steel or zinc based castings. Machined steel is considered the best of the three, and some of the premium shocks use silicon bronze, Larger reservoirs (outer tubes) on twin-tube shocks hold more fluid to provide better heat dissipation. Shock absorbers vary greatly depending on the manufacturer. The method of damping, the piston design, the materials used and how the shock is manufactured all play a role in how well a shock fits the application. Similar price doesn’t always mean that two different brands will work the same way, unless both are cheap, in which case they will probably both work poorly. lighter damping will spread the work and reduce the heat in each shock while giving the same rate as one stiff shock. Some shocks can be ordered with lighter valving for multishock applications. While some manufacturers recommend that you use shocks boots, some do not. The general consensus in the off-road community is that you should run shocks without a boot. 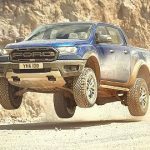 Reason; when off-roading, the amount of dust, dirt, grime, mud and grit generated is far more than that of a normal car, driving on the road. With a shock boot in place, the nastiness will get caught inside the boot and can’t be removed. The grit and grime will load up on the piston rod because of the thin oil coating. This grit will ultimately score not only the seals of the shock, but the shock piston rod as well, causing oil seepage and ultimately, the demise of the shock itself. Running without a boot will allow you to blast that crud away with a garden hose and a soft cloth. Mounting shocks at angles reduces the overall dampening effect of the shock. Reason being; the shock’s mechanisms will travel geometrically, less of a distance than that of the suspension system. Some vehicles (early model Land Cruisers, etc.) have their rear shocks mounted at about a 30-degree inward (inward = leaning toward the differential, not forward or aft-ward) angle, while others have their shocks mounted at a 20 degree angle or so forward and/or aft ward of the rear axle (e.g. Chevy, Jeep CJ’s, etc.). There are several reasons why this might be done. First, available space… regardless, if this is something you are going to do yourself, you’ll need to increase the static pressure of shock to mimic the shocks effectiveness of it being in a perpendicular location. Secondly, you can gain more suspension articulation than would normally be limited by the overall travel of the shock absorber if it were located perpendicular to that of mounting your shocks at an angle, if you don’t have room for a taller shock absorber. The charts here show the overall estimated reduced effectiveness of a raked shock absorber. However, these numbers should only be used as a rule of thumb as other factors such as the arc of the suspension cycle can factor in. Shocks usually wear out gradually, but some things can happen, especially off-pavement, to hasten their wear. One of the first things to look for is either a nicked or bent shaft, which can easily be caused by flying gravel or debris. Once damaged, the shaft can allow contaminants to enter the oil and destroy the piston seal, which will eventually lead to a leak of the shock fluid. If not replaced, the shock will eventually lose its ability to function properly. Other signs of worn shocks are excessive bouncing after crossing a dip or bump, rocking back and forth after a stop, excessive body roll around corners, tire cupping, and straight-line braking that isn’t so straight. One of the best ways to determine if a shock needs replacement is to perform the jounce test. Simply bounce the front or rear end of your rig by jumping or pushing up and down on it for a few seconds, then let off. If your rig continues to pogo for more than 1 to 1.5 bounces, you may need to replace your shocks. Only you can answer the question of the type of shock you need, and this is based upon your budget and the type of wheeling you do. You should also talk to some people who have a similar vehicle as your and do the same types of off-roading. However, here are some very basic guidelines. Day to day driver, infrequent off-roader – Try running a twin-tube shock. These shocks offer good bump absorbing benefits while keeping your tires planted firmly on the road and are much cheaper than their more-advanced cousins. 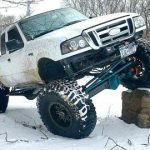 Dedicated rock crawler – Opinions differ. 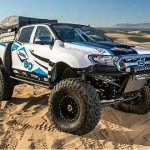 A dedicated rock-crawling vehicle doesn’t require fancy shock absorbers because your rig is traveling at a few miles per hour and the rate of suspension cycle is incredibly slow. Save your money for some other cool gadgets and go with an inexpensive shock. 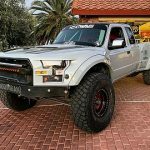 However – If you find that you frequently need to travel at higher speeds, possibly over some washboard roads to get to your rock-crawling trails, you may consider upgrading to a gas-pressurized or a mono-tube shock absorber. Medium/High-speed trail runner and/or daily driver – In this instance, if you find yourself traveling at speeds beyond 20 miles per hour on the trail and do a lot of daily driving, you would benefit from upgrading to a mono-tube or reservoir type shock absorber. High-speed racing and/or mudder and/or extreme off-roader – If you find yourself falling within these categories above you should seriously consider a set of bypass shocks or at a minimum a set of reservoir type shock absorbers. Money is no object and/or I want to impress my friends – Go for the gusto and get a set of bypass shocks!